The Kansas City Chiefs were the talk of the NFL for the majority of the season based off their strong and explosive play. 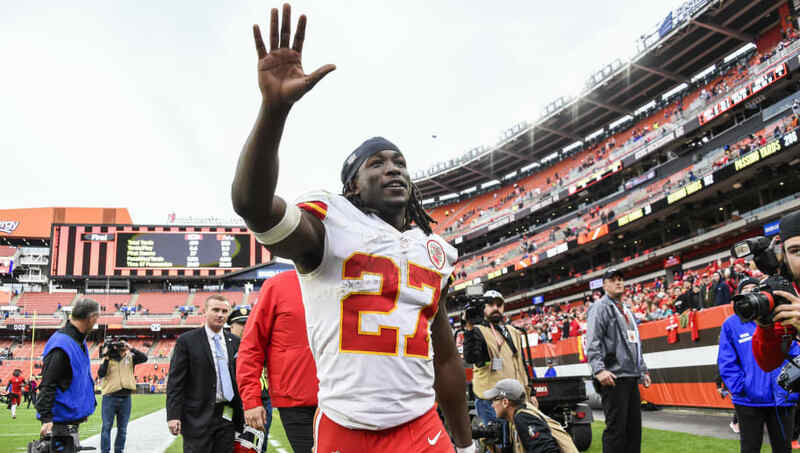 However, those discussions turned into muttering about running back Kareem Hunt, as TMZ released a video showing him assaulting a woman in a Cleveland hotel. Kansas City would act swiftly, ​releasing Hunt, despite the pivotal role he played on the offense. But could he make a return to the Chiefs? During a conference call on Thursday, general manager Brett Veach said there are "always scenarios down the line" for a player in the shoes of Hunt to possibly make a return. As Veach mentioned, Hunt is only a few months removed from his release. Veach likened his return to "being on the back burner." In other words, don't expect it anytime soon. The team wants to see that Hunt bettered himself as a person and that he learned his lesson from his off-field incident. Hunt holds the Chiefs near and dear to his heart, as a report from Nate Taylor of The Athletic indicated that he pleaded with the organization to reconsider their decision to cut ties with him. It's quite possible that Hunt could use this as motivation to undergo the route of self-improvement to return to the team he loves. While Veach's comments make it sound like that won't happen anytime soon, it appears there are other teams like the ​Chicago Bears and Philadelphia Eagles who are willing to take a chance on Hunt.